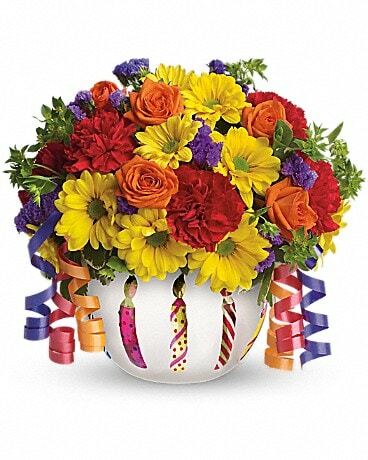 Birthday wishes can come true even before the cake is served when you send this brilliant arrangement! 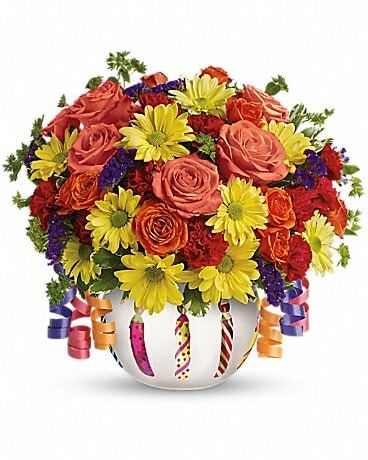 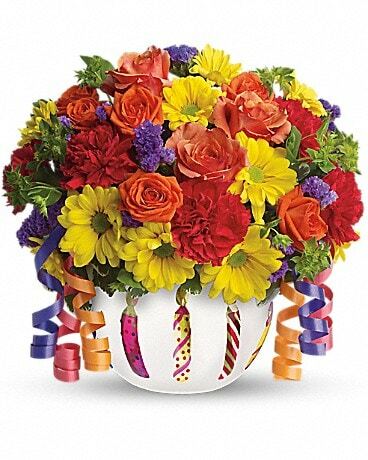 Bright flowers fill a frosted glass bowl that's adorned with a shiny birthday candle motif. It makes a beautiful party centerpiece and a thoughtful gift!